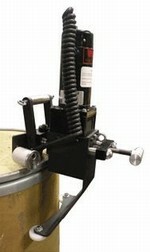 You need the right drum deheading tool. To choose the right tool, you first need to know if anything is in the drum - for instance, if the drum contains flammable vapors. Also, what is your intention for the drum? To dispose of it as scrap metal or to make it a trash can or other type of usable container? By using a drum deheading tool you can have a choice of disposing of your drum as scrap metal or turning it into a trash can or another type of usable container. Why put yourself in harms way by using tools not designed to do the job correctly? You could cut off the drum top with a cutting torch (very dangerous if the drum contains flammable vapors) or use a saws-all (same dangers apply), but either method could take a lot of time and all you would have left is a piece of scrap metal. 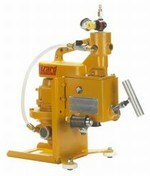 The logical and economical choice for low volume, occasional use, deheading up to 10 drums per week. 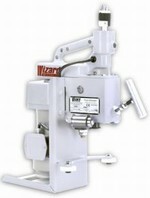 Several styles to choose from, including the option of a non-sparking blade for deheading drums that may contain flammable vapors. Never attempt to dehead a drum containing flammable vapors with a standard deheader - it could cause an explosion. 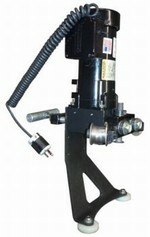 Use a manual deheader with a non-sparking blade or a non-ferrous cutting wheel when working in a flammable area. A good choice for the operator who deheads up to 25 drums per week. After adjusting the unit, a few self-powered trips around the drum head allows the lid to break free. 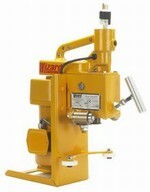 Wiz-Kid® Electrics are not lightning fast but they are faster than a manual deheader. 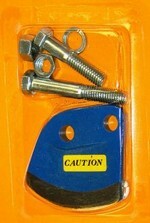 A "hands-safe" edge is left to help minimize accidents. Choose one of these for deheading more than 25 drums per week. Turn your drums into reusable containers or quickly make them ready for disposal. Non-ferrous cutting wheels are available for use in flammable areas. High volume Stationary Fiber Drum Dechimer will dechime more than 50 fiber drums per day. Displaying 1 through 25 of 38 products.